While the Hulk wasn't really featured in The Avengers: Infinity War, it turns out there were plans to use him as part of the Battle of Wakanada and the end scene versus Thanos. Concept art lands online from The Avengers: Infinity War Art of the Movie revealing that Hulk was at one point considered for the final scene in Infinity War, which interestingly enough fits with the footage from the trailer that never made its way into the movie. 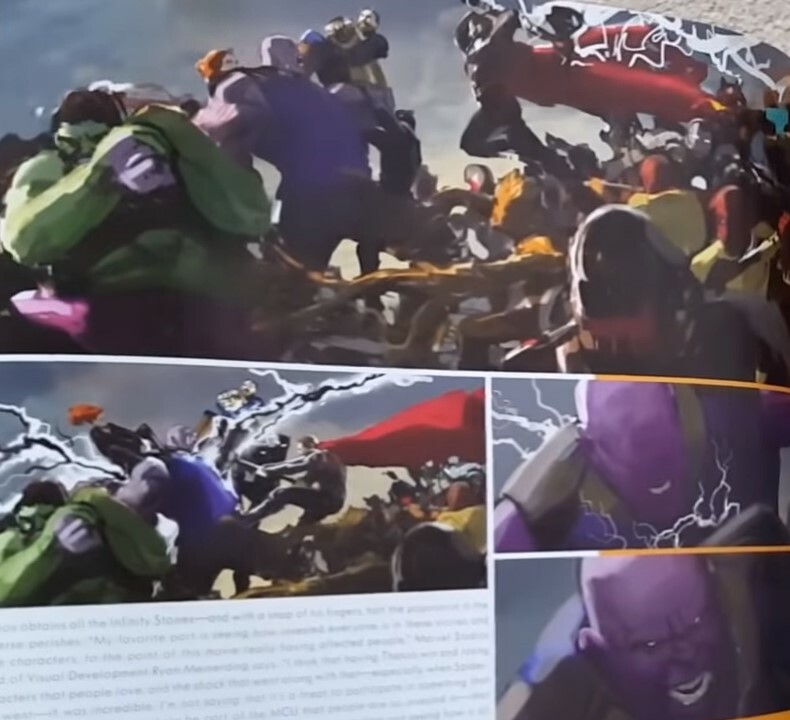 The concept art features the Hulk and the Marvel heroes physically attacking Thanos, with the Hulk holding the right arm of the Great Titan. This is the scene where Thor uses Stormbreaker in an attempt to Kill Thanos by striking him in the chest (when Thor should have aimed for the head). We see the concept art also features Captain America holding Thanos' Infinity Gauntlet arm, with what looks to be Black Widow from behind. The scene also seems like it takes place in the middle of the Battle of Wakanda, and not after, as we see the Outriders are present. Regarding the reason Hulk didn't show face in Infinity War is not because he was afraid of Thanos, but that he wanted to teach Banner a lesson. Banner only wants the Hulk around to save him and the Avengers, so Hulk decided not to let loose. 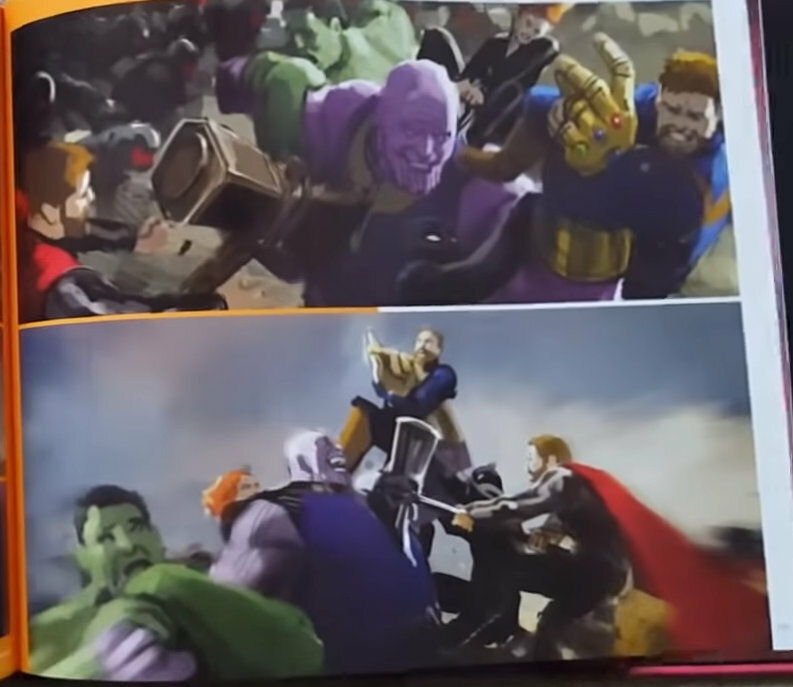 The concept art above might also explain why there is an Infinity War toy featuring Banner inside Hulkbuster Iron Man, with the Hulk busting out. We can theorize that during the Battle of Wakanda scene, the Hulk eventually decides to help Banner and busts out of the Hulkbuster Iron Man suit and takes on Thanos.